As I’m writing this, summer has well and truly kicked in. But I’m all too aware that this glorious weather is unlikely to last for long. Why? Well, we’re heading straight into the heart of festival season, aren’t we? I have to admit, it was frustrating to be beaten to a blog on the Glastonbury Festival last year. As a regular visitor to Worthy Farm, I felt that honour should have been mine. Instead, blogging maestro Gary Townley took centre stage with ‘Band or Brand?’ as the 2015 festival kicked off. In the blog, Gary talked about the importance of protecting band names. For many people, it’s those bands that are the main draw of any festival experience. 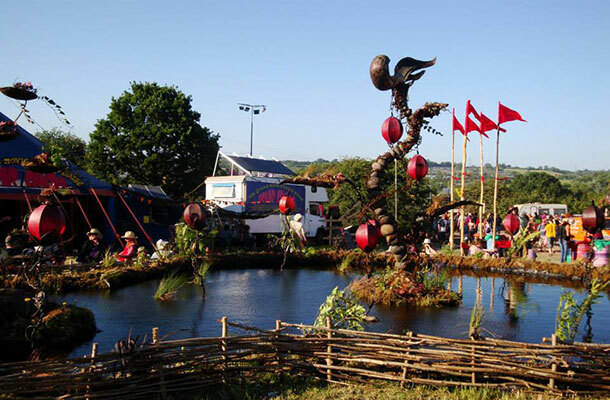 Those who’ve never experienced Glastonbury first-hand see the festival as a weekend packed full of world-class bands performing their hits to an enormous crowd. They’re not wrong, as it’s those bands that form the image you see on TV. But for me, it’s so much more than that; it’s a celebration of creativity. Yes, the sweet sounds spilling from the Pyramid Stage and the fire-spewing spiders that come alive after dark are sights and sounds to behold. But beyond the main attractions there’s a whole world of wonder waiting to be discovered. 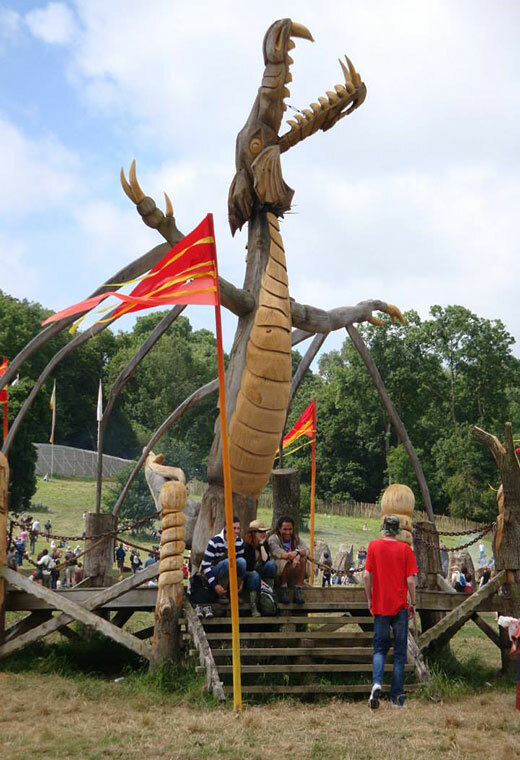 You can find every form of artistry, performance and craftwork imaginable dotted across the festival site. Circus performers wow the crowds and eccentric street (or field!) theatre artists roam freely (and scare the life out of me most of the time). Poets and wordsmiths share their musings with those who gather to listen. Plus you can even sit down for stand-up. More traditional art forms like sculptures, flags and hand-painted litter bins decorate the festival site. 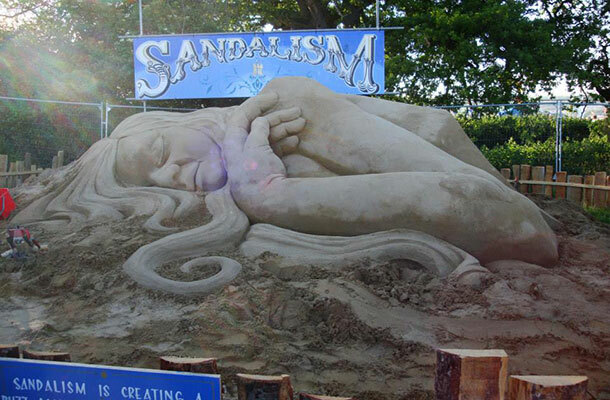 And have you ever fancied having a go at glass blowing, basket weaving or stone carving yourself? Here you can try your hand at all three and still have time to spare. In short, the festival would be nothing without these visually stimulating sights enriching the landscape at every turn. But it’s easy to forget all the hard work that goes into every single piece of artwork, performance and hand-crafted item you buy. It might not seem like much to the casual admirer, but these items are the livelihood of their creators. One wrong move, however innocent, by a third party could see them lose everything. That’s why it’s important to respect and protect their creativity. You might not think it but every single artist and performer has intellectual property (IP) rights in their work. IP is at the heart of each creative decision they make and is the reason they can transform their passion into a successful career or profession. The way that hand-made necklace looks could be protected by a registered design, as could that carefully crafted jug on the potter’s wheel. The graffiti art around the site will be protected by copyright. So will the jokes told by the comedians and the dramatic Shakespearian adaptation performed by a local theatre company. Just because these creators choose to share their creative works in a Somerset field, it doesn’t give people the right to steal them for their own benefit. This also rings true outside of the festival scene. I’m sure we’re all guilty of filing away other people’s innovative ideas for future use. You may think that the odd rip off here and there is harmless, but don’t be fooled. Purposely copying someone else’s work or using their IP without permission could have serious consequences. If you see any kind of creative work that is either protected by copyright or by a registered design that you’d like to use, reproduce or replicate in some way, just ask. It’s much better to seek permission from the creator or performer than run the risk of facing legal action. In all honestly, I hope it’s the first option. Toppling into a muddy puddle with a backpack that weighs the equivalent of a 10 year-old strapped to my back and sitting there, soaking up the sludge until a strong saviour comes along and plucks me to my feet isn’t on my to-do list. And yes, that is a true story. Whatever fate befalls me, I know I’ll be happily immersed in the culture and creativity that keeps the festival alive.